Police have concerns for the safety and well-being of 21-year-old Carissa Avison who has been reported missing to Police. 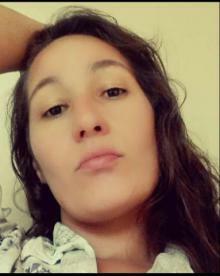 Carissa was last seen leaving her home on Dockside Lane, Auckland Central, at about 8.30am on Thursday 26 January 2017. She is described as slim to medium build and has a Japanese scripture tattoo on her left forearm. She was last seen wearing a white t-shirt, black 3/4 length pants and black Nike shoes. Where is Lydia Grace Solvander? 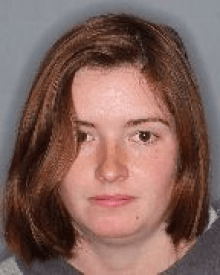 Christchurch Police are seeking 25-year-old old Lydia Grace Solvander and are seriously concerned for her wellbeing. Solvander has been missing for more than a week and was last seen in the Hillmorton area on Tuesday 17 January 2017. A 21-year-old Hamilton man is missing after a friend lost sight of him in the Waikato River early this morning. Hazael Mailata and his friend were on the bank of Waikato River when Mr Mailata went for a swim shortly before 3.00am this morning, Wednesday 25 January 2017. He was last seen in the darkness in the river and there has been no contact with family or friends since. Police can now release the names of the two men who went missing while using an inflatable boat at Otaki Beach on Monday 23rd of January 2017. The man whose body was recovered on Monday was 52-year-old Wayne Anthony De Bruyn of Otaki. 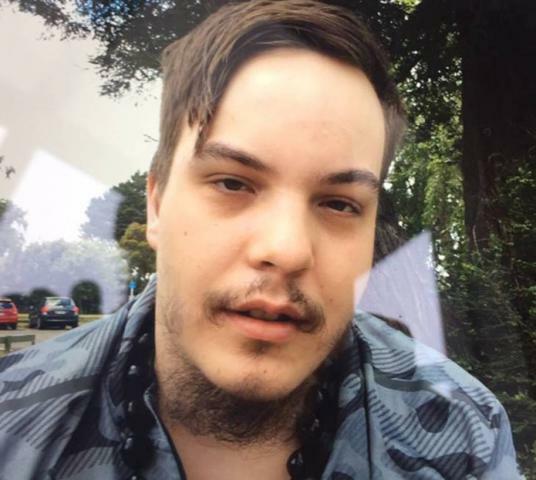 The man missing and presumed drowned, is 35-year-old Jared Anthony Anderson of New Plymouth. 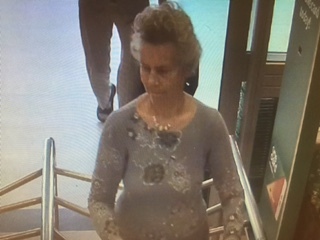 Ms Crooks was last seen in the Punakaiki area on 22 December 2016. She was walking the local tracks and may have then hitchhiked north. Shelly is 180 cm (6ft) tall and of medium/solid build. Quentin Barrett is missing – have you seen him? Quentin Barrett, 19, is missing from Terrace End, Palmerston North since 19 January. What happened to Pat Wearn? Pat Wearn, 73, missing without a trace. Massive searches in the Torbay, Long Bay and Browns Bay areas for 73 year-old Pat Wearn proved futile. Ms Wearn left her home address in Torbay at 12:30 Monday January 16, to go for a walk, but did not return. 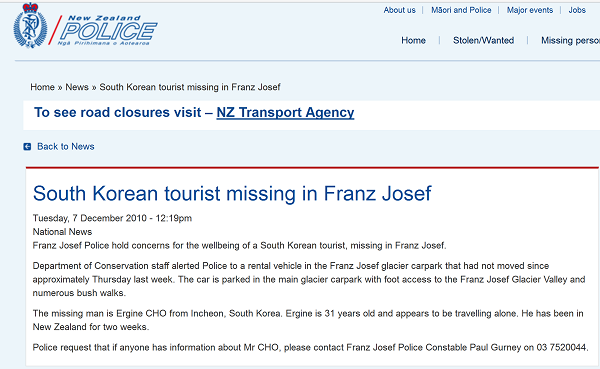 Search blog contents for details of many others who have gone missing without a trace in New Zealand.